Grandmaster Frederick has been training for well over 40 years and teaching for almost as long. He is a fully qualified instructor. He is able to provide instruction in English, Punjabi, Gujarati, Hindi and Urdu. Grandmaster Frederick is a Master of Dragon, Eagle, Snake, Monkey, Drunken and Tiger styles of Kung Fu and a highly qualified practitioner in all styles of Shaolin Kung Fu. Sifu Aaron is a qualified instructor and practitioner of Tang Lang Quan (Mantis) and Shaolin Fire Cudgel (Staff). Sifu Nick is a qualified instructor and a practitioner of The Seeking Monkey with which he won a WPKA 2005 World Championships Bronze medal and also The Fatal Flute Staff form with which he also won a WPKA 2005 World Championships Bronze medal for Traditional Weapons. He also practises Wooden Men Hall. Sifu Robin is a qualified instructor and is a practitioner of Five Animals Kung Fu and Praying Mantis. Sifu Ketan is a qualified instructor and a practitioner of Ten Animals Form and Wing Chun. Sifu David has been training for over 35 years and recently made a welcome return to the School. Sifu Simon is a qualified instructor and a practitioner of Shaolin #6: Tun Da. Sifu Simon is a qualified instructor and referee. Sifu Simon is a practitioner of the Tiger/Crane Form of Hung Gar Kung Fu with which he won the WPKA 2004 European Championships Bronze medal. All of our instructors are fully certified, licensed and insured by the BCCMA: British Council for Chinese Martial Arts. They undergo regular assessments and updates. 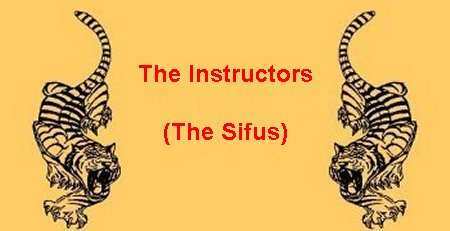 All of the Sifus are able to teach from novice to Black belt and receive guidance from the Grandmaster, who is himself able to teach and grade from novice to Master 8th Rank. The BCCMA are the Governing Body for Chinese Martial Arts in the UK and are rocognised UK Sports Council, European WUSHU Feberation and International WUSHU Feberation. For further information about the School, please contact us by email to Chunsehdau@live.co.uk. ©Chun Seh Dau School of Shaolin Kung Fu (All rights reserved).